The American Monetary Institute is a publicly supported charity founded in 1996. The real outcomes in society – whether there will be general economic justice or corrupt financial privileges for the few – are usually determined by the structure of a society’s monetary system. Our 14th Annual Conference. Leading monetary reformers examine Kucinich’s NEED Act, introduced into the 112th Congress. Register today! 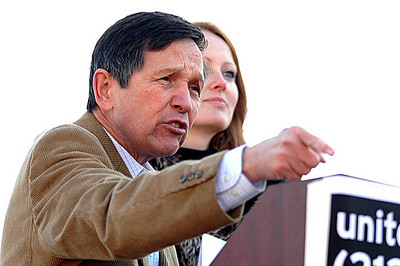 September 21, 2011 – Congressman Dennis Kucinich introduced an employment bill reforming our money system: The NEED Act proposes a historic money reform, containing all the monetary provisions of the American Monetary Act including ending “fractional reserve” banking. This can happen quickly! Good jobs in infrastructure, education, health care, R&D, etc. Bank Debt System to a Stable Government Money System. This elegant and simple law will overnight convert our unjust crisis prone bank debt money system into a pure, reliable U.S. money system. Here is how that happens when its’ passed into law. 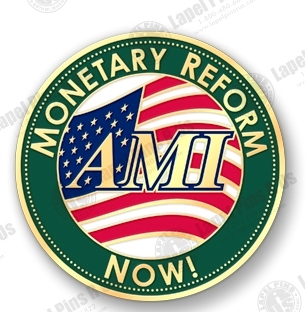 AMI’s Monetary Reform Brochure with explanations, historical background, the full text of the NEED Act; answers to the 20 most frequently asked questions; and how you can get involved. It also has our Intro to Monetary Reform. This brochure has the “intellectual power” to solve our nation’s greatest problems, from Jobs to Justice; from Energy to Environment; etc. Really! But it needs YOU, for the POLITICAL POWER! Please read it and help! This brilliant paper from Prof. Joseph Huber to the 2013 AMI Conference, analyzes MMT and shows how MMT fails to seek real monetary reform. This landmark paper was sent by the Real World Economics Review to its 25,000+ subscribers! MMT thinks they can ignore it. This is Michael Kumhof’s first paper in his new position at the Bank of England in London, continuing his groundbreaking work on money and banking. Since its nationalization in 1946 after WWII, the Bank of England presents its first quarter 2014 bulletin, exactly how banks create “money” out of thin air when they make loans. A Viable Solution to the Economic Crisis, by Robert Poteat of the AMI, takes on the crisis creating Federal Reserve Banking System and presents a viable alternative and solution to it in Kucinich’s N.E.E.D. Act (National Emergency Employment Defense Act). AMI’s Cooper Union Event: Fixing Our Broken Money System – Videos Now Available! To receive your videos of the event, please see our fundraising note and video order form. The AMI evaluation of Modern Monetary Theory (MMT) addresses the issues that arise over MMT’s misguided views on monetary facts, and its gross error in assuming that all money must be debt. That alone is all that’s necessary to wreck a monetary system and turn it into a wealth concentrating engine – into the “wrong” hands! Zarlenga’s address to the US Treasury entitled “Solution to the State’s Fiscal Crises”. For the first time, a major political party has a platform plank (2012) supporting real monetary reform, which includes the major provisions of the American Monetary Act. This momentous progress came as a direct result of director Stephen Zarlenga’s speech. Zarlenga’s address to the House of Lords entitled “Monetary Justice Using Publicly Created Money to Fund Public Projects”. Professor Yamaguchi (Berkeley, Doshisha Universities) shows that Kucinich’s HR 2990 NEED Act: (1) Provides the funding for infrastructure repair (which solves the unemployment crisis) (2) Pays off the national debt as it comes due (3) Does this without inflation! Click here to watch a video of Professor Yamaguchi’s presentation to the 2010 AMI Conference. Wow! Here are some of our most important achievements to date, made possible by the support of our generous donors who have contributed time and resources throughout the years. -Free AMI hosted monetary talk at the New School. Watch footage of Stephen Zarlenga’s presentation at the New School in New York, May 2014. -A Viable Solution to the Economic Crisis – statement from Robert Poteat of the AMI on the one-hundred year old Federal Reserve Banking System and an available solution from former Congressman Dennis Kucinich – HR 2990 of the 112th Congress. -Occupying the NEED Act, by Nick Egnatz, gives an easy to understand primer on the nature of money, monetary systems, and the 3 major reforms that make up the NEED Act. -Getting What We NEED, by Nick Egnatz, describes the reforms present in the NEED Act and how a debt-free money system would benefit the overwhelming majority of American citizens. -Mourning 100 Years of Usury under The Fed, by Nick Egnatz, details the tragic 100th anniversary of the private Federal Reserve System, when the U.S. government gave to a private banking cartel that which no government has the right to give away – the sovereign right of a people to create and control their own money. -Click Here to read Nik Livic’s great summary of the 2013 AMI Conference. -Click here to read our latest Huffington Post article concerning the most recent debt limit crisis – co-written by Nick Egnatz, Jamie Walton, and Stephen Zarlenga. The Need for Monetary Reform is a brief summary of monetary reform. Is the Federal Reserve System a Governmental or a Privately Controlled Organization? The Chicago Plan Revisited, Michael Kumhof (Deputy Division Chief, Modeling Dept., IMF) applies modern computer modeling to the Chicago Plan, which support the monetary reforms of HR 2990 and dispel the widespread fears of inflation under a government money system. Click here to watch Dr. Kumhof’s well-received talk at the 2013 EEA conference session hosted by the American Monetary Institute. 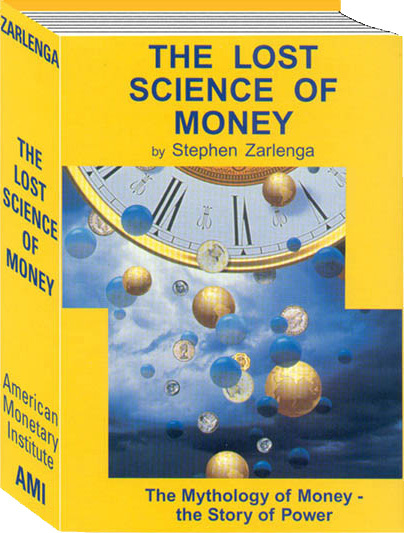 The Chicago Plan and the American Monetary Act (now the NEED Act), written by Stephen Zarlenga and presented at the inaugural 2005 AMI Monetary Reform Conference. The Volcker Question is asked by AMI Director, Stephen Zarlenga, on November 17th, 2014 in New York. Why States Going Into The Banking Business Would Be A Distraction, Not A Solution To The Nation’s Monetary Problem, This article is a comprehensive critique of the wrongheaded notion that instead of fixing the problem, governments should go into the banking business! The Boston Federal Reserve Bank’s 2011 study echoes Walton’s earlier paper criticizing the Bank of North Dakota as misleadingly used as a “panacea.” Be careful folks! A Critical Review of Ellen Brown’s book, Web of Debt. Sorry Progressives, but there are major, self-defeating problems with her approach – consistently a distraction, not a solution. Be careful folks! An “Unusual” Donation Request or Challenge and Call to Action! The American Monetary Institute sincerely asks that you please click and read this post, and act on it. Please don’t be offended by some of the language we have had to use to convey the message! DEVELOPMENT OF US MONEY, from Colonial Times to the Federal Reserve.